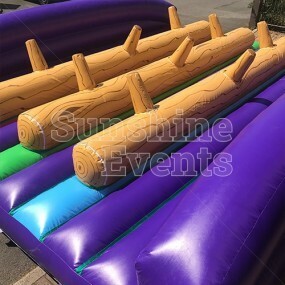 Allow us to introduce you to one of the more impressive Assault Course add-on sections (well to be fair they're all impressive!). 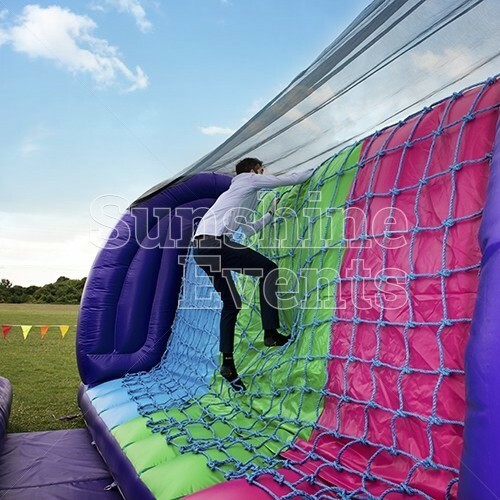 The Cargo Net Wall is a fantastic addition to our range of assault course sections as it tests the speed and strength of your competitive guests. 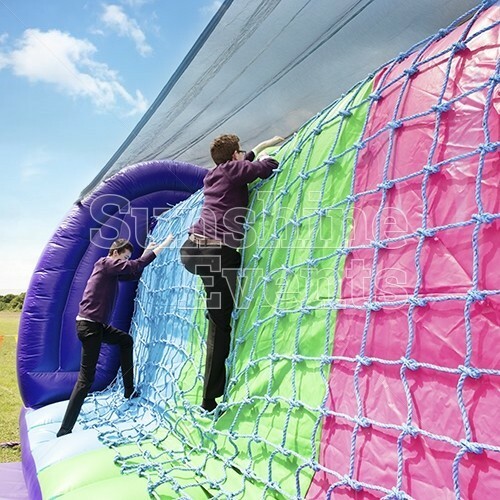 The challenge is simple; faced with a 10ft cargo net that climbs our inflatable wall, participants have one mighty ascent ahead of them before they face the slide back down to the bottom - that's right, slide! 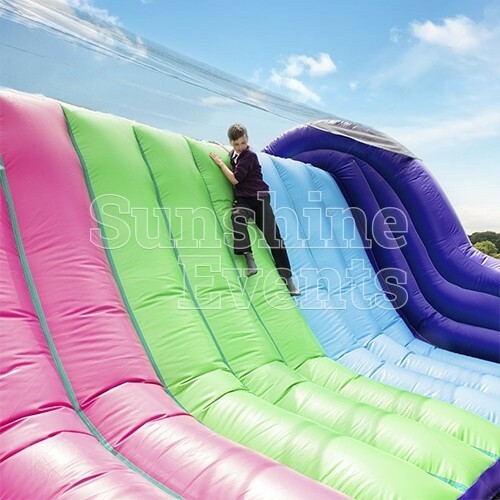 This is a fab piece of entertainment and works brilliantly when added to other sections of the assault course such as the Assault Course Balance Run and Mangles inflatables. 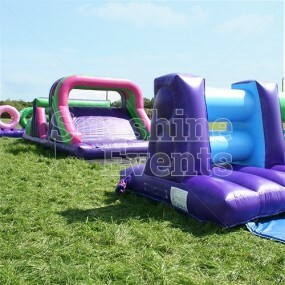 As with all our inflatable obstacle courses, each feature 3 'lanes' so upto three people / teams can race at once. 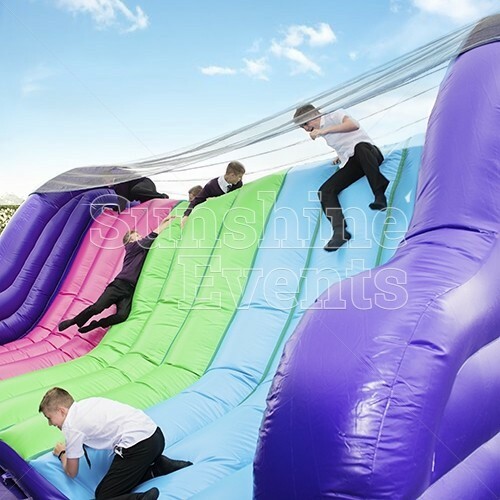 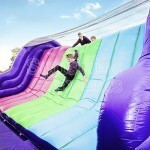 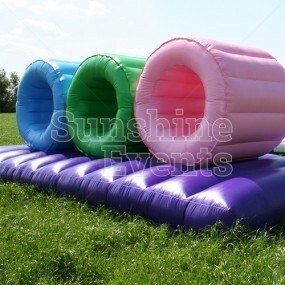 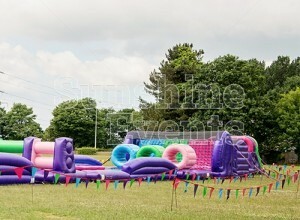 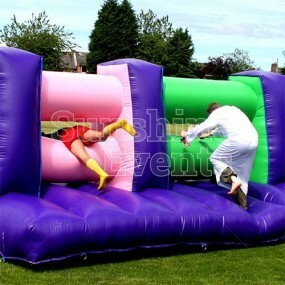 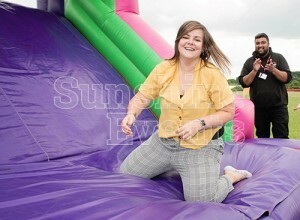 Featuring our vibrant colours of purple, pink, green and blue, the inflatable is sure to peak the interest of guests and once they see the challenge itself, they'll be racing to take part. 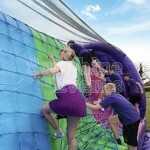 What events are the Assault Course Cargo Net Wall suitable for? Hire the Assault Course Cargo Net Wall for all kinds of events with an active feel - Team Building Events, Fun Days, Sports Events… the list is endless! 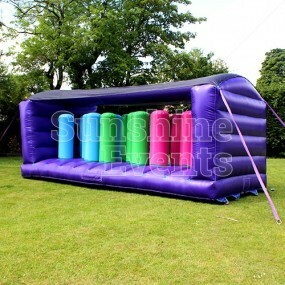 This inflatable ticks all the boxes for your event; fun; competitive; vibrant; crowd-pleasing; challenging; you and your guests will not be dissapointed with the fun to be had here! 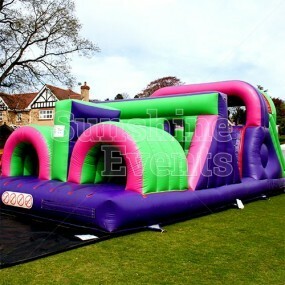 Add On Sections - that's right, you can make the Assault Course even bigger by adding one of the many add-on sections we have available. 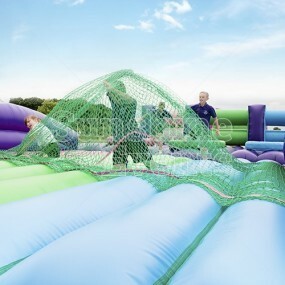 Some of these are detailed in the 'You May Also Like' section such as the Bish Bash inflatable, Scramble Net inflatable and Scramble Net, but there are more...you could build the Assault Course up to 300ft! 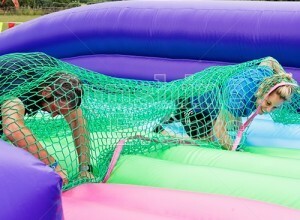 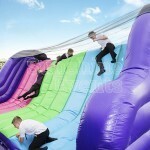 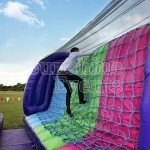 Assault Course Cargo Net Wall Hire has been added to your Event Quote.